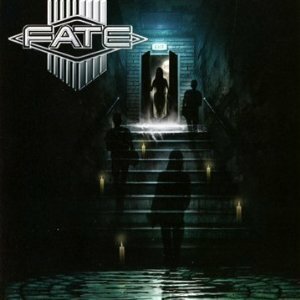 Danish band Fate are a band that has been through plenty of lineup changes since the band first formed in 1984. After almost ten years, several lineup changes and several album releases, the band split in 1993. The band then reformed in 2006, and since then have had yet more lineup changes, released a new album ("V"), and are now ready to release their latest album - "Ghosts from the past" - hopefully with a stable lineup this time. Original member Peter Steincke is the only member of the band remaning from the bands 1980's incarnation. "Seeds of terror" is a slightly heavier guitar driven track and is the first song on the album to do without a keyboard intro. The album mixes some great guitar riffs and solos with melodic 1980s AOR style keyboards to create some great melodic rock - the guitar work gives it plenty of punch and the discreetly used keyboards add a bit of polish to it. "Ghosts from the past" will be released on 28th November 2011 through AOR Heaven.